“Exercise is the billion dollar drug that never gets prescribed,” says Phil Southerland, founder of the Team Type 1 Foundation. For the millions of people living with type 1 diabetes worldwide, education, exercise, and reliable access to medical supplies are crucial for saving lives. And TT1’s fundraising efforts and programs continue to inspire and enable those with diabetes to better manage their disease. Eleven riders participating in the Mavic Haute Route Rockies in support of the Team Type 1 Foundation raised $50,000 for the cause, including Southerland, David Crowe, Stephen Dickinson, Rupert Waterhouse, John Martin, Carolyn Audlilet, Sean Hillock, Kevin Liberacki, Dan Holt, Charlie Rowland, and Matthew Mack. 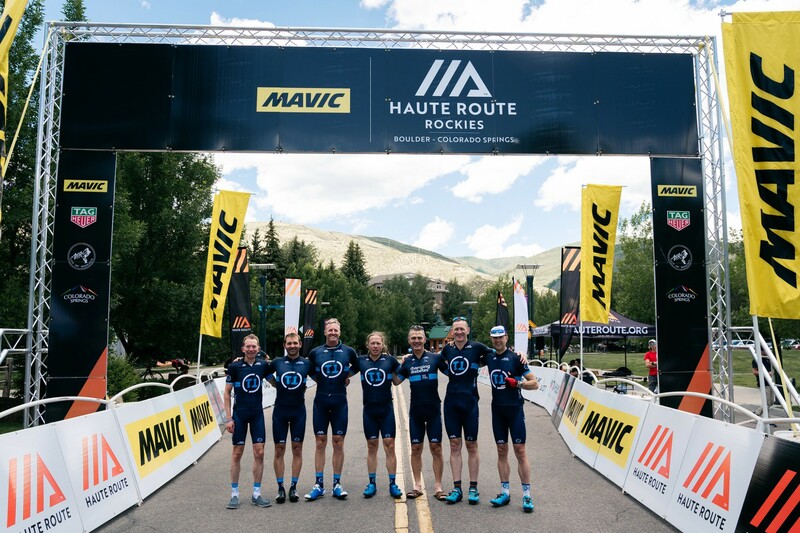 While all members of the Team Novo Nordisk professional cycling team are living and competing with type 1 diabetes, athletes supporting the TT1 Foundation at Mavic Haute Route Rockies have a variety of connections to the cause. Southerland’s long history in the sport of cycling also plays a big role in drawing supporters to events like Mavic Haute Route Rockies. John Martin and David Crowe, avid cyclists and two of Phil Southerland’s longtime friends from Georgia, couldn’t pass up the opportunity to combine their love of cycling and support for the TT1 Foundation. There are additional connections to type 1 diabetes and the TT1 Foundation at Mavic Haute Route Rockies. Charlie Rowland, a pharmaceutical executive riding Team CTS, wears Team Novo Nordisk apparel and raises money for the Team Type 1 Foundation in support of his 4-year-old niece who is living with type 1 diabetes. Even the Haute Route staff is connected to the TT1 Foundation. Jim Davis, known to many riders as the man shooting finish line photos, was diagnosed with type 1 diabetes following a sport-related injury to his pancreas. Though his doctor initially told him he would need to stop exercising, Davis connected with Team Type 1 and has been successfully managing his diabetes through a combination of insulin, nutrition, and cycling. He completed both the Haute Route Alps and the 2017 Mavic Haute Route Rockies. 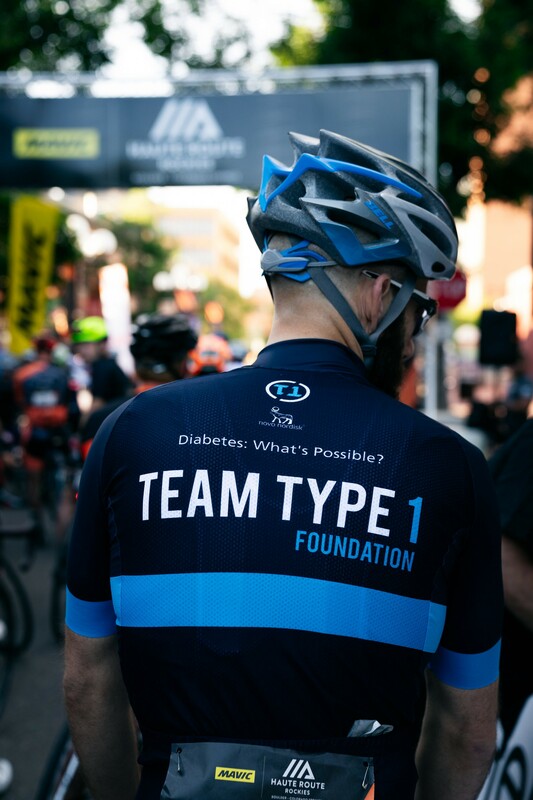 If you would like to help Phil Southerland and the Team Type 1 Foundation fight the disparity in diabetes care around the world, please donate now.